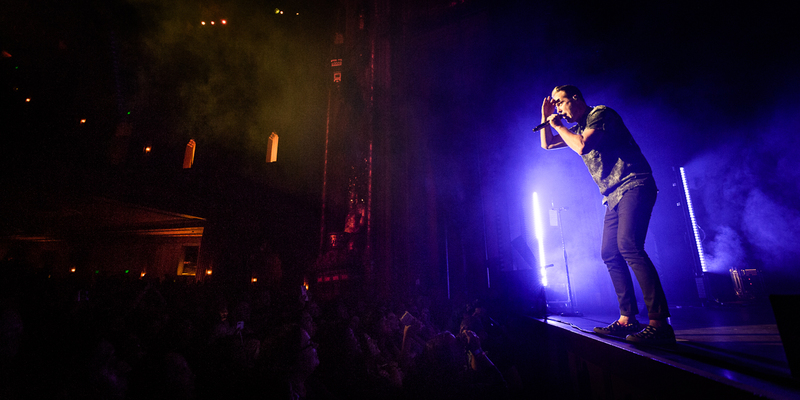 Indie pop group Fitz and the Tantrums did what they do best at The Fox – show off their soul-influenced off with terrific vocals from Michael Fitzpatrick and (birthday girl) Noelle Scaggs (it was her birthday that night). The strong backing from the band, including James King, front row on the sax, played up the terrific meld of the two vocalists. Fitzpatrick showed his usual charisma but seemed a bit tired at the show. Of course the music brings out the dance party whenever they play, and The Fox show was no exception. People of all ages were on their feet for the whole night and didn’t mind one bit. Right from their opening song, “Get Right Back” from their eponymous album, through their third encore song, “The Walker” from More Than Just a Dream that ended in a big shower of confetti, it was non-stop motion on stage and in the crowd. 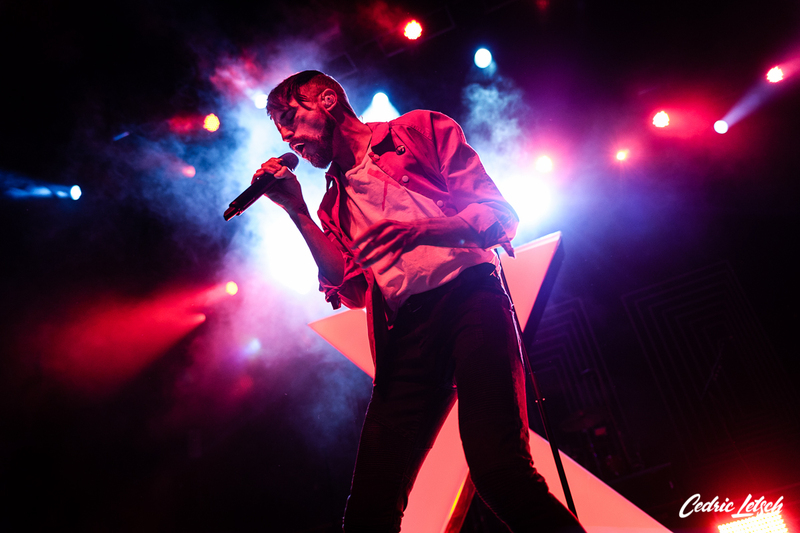 Neon Trees’ frontman Tyler Glenn has no problem baring his soul in his solo debut Excommunication, and he does it with dance beats and electronics. Glenn’s coming out as gay, and his subsequent split with the Mormon Church due to anti-gay policies, inhabit his presence on stage, but he keeps the party going nonetheless. 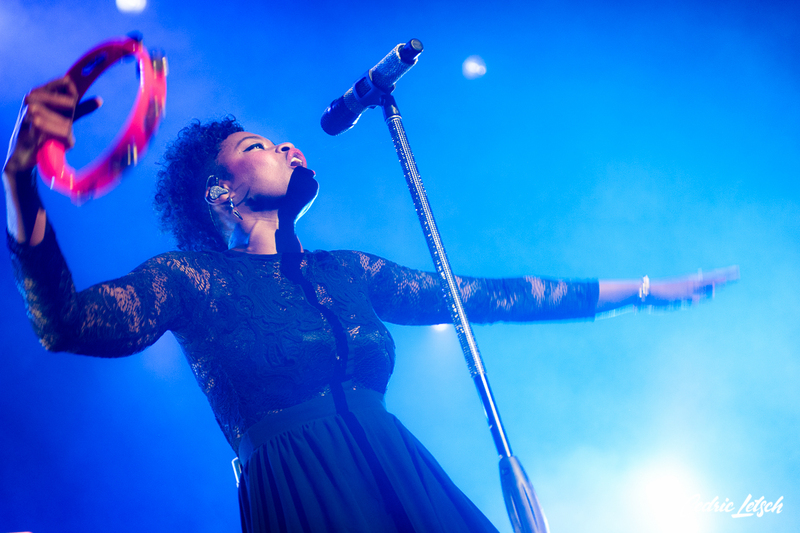 Find out more about Fitz and the Tantrums on their website. Learn all about Tyler Glenn here.